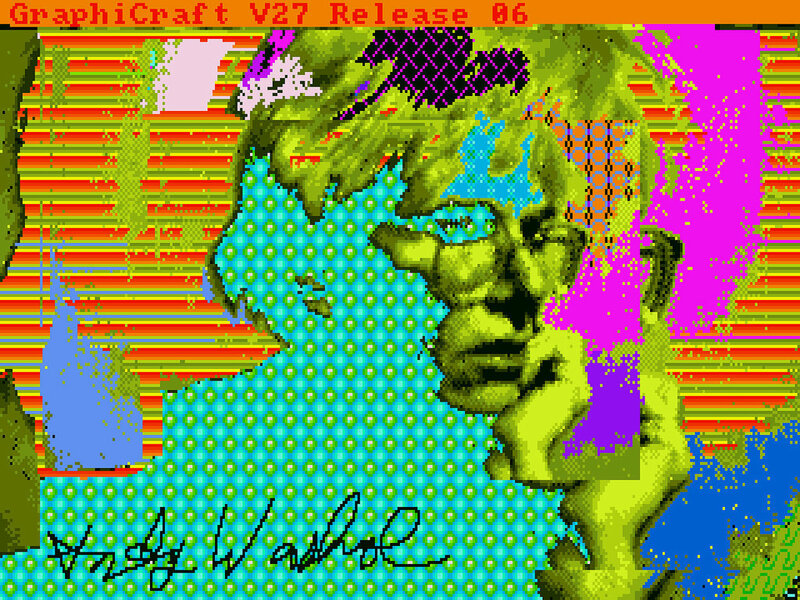 The Andy Warhol Museum announced that Andy Warhol’s lost computer art has been found. The works were trapped on 30-year-old Amiga floppy disks in the museum’s archives and recently recovered by the Carnegie Mellon Computer Club. New York artist Cory Arcangel stumbled upon a YouTube clip of Andy at a launch event for the Amiga (watch it below! ), an old-school personal computer sold in the ’80s and ’90s by Commodore. Check out our Andy Warhol collection here.